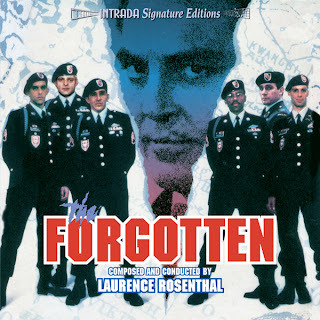 Laurence Rosenthal's score to the 1989 telefilm The Forgotten serves as a powerful example of one of Rosenthal’s greatest strengths as a film composer: his ability to write music that not only fits the action, but speaks with great clarity to the underlying truth of the characters. The characters are tortured individuals in wrenching circumstances, and Rosenthal’s music does not shy away from this. But he places their suffering into a broader context—one that honors their sacrifice without resorting to sentimentality or nationalism. While the entire score—with its elegant main theme and variety of dramatic cues— bears noting, the score also features some Rosenthal's most exciting and energetic action sequences, including staccato figures for woodwinds and propulsive percussion including xylophone. The complete score is presented here from the pristine stereo 15-ips 1/4" masters. 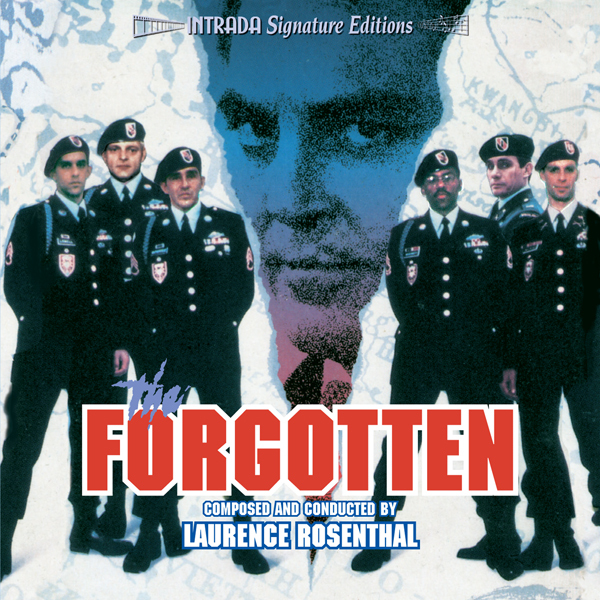 The film is based on an original teleplay by Steve Railsback (who also co-starred) and James Keach (who directed), and tells the story of six Green Berets who for seventeen years endured harsh conditions and torture in a Vietnamese POW camp, where they were taken after a mission gone disastrously wrong. In advance of delicate trade negotiations, they are released as a goodwill gesture. Instead of being taken home to America, however, they are secreted away to a West German facility under heavy guard. There they are aggressively interrogated by the sinister Adam Roth (Stacy Keach). Just Announced! I can tell you right now I am a fan of Steve Railsback and a few others in this film, you can bet this is going to be a great one for your ears!